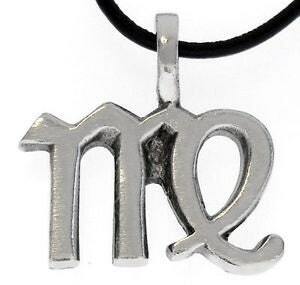 This Classic Virgo "The Virgin" Zodiac symbol is handcast and hand-finished in solid American Pewter with a shiny finish resembling antiqued sterling silver. 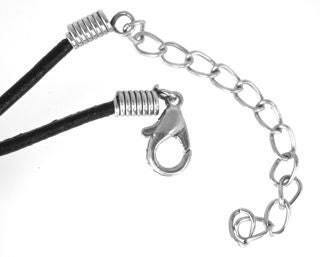 The Virgo Sign is on an 18" genuine leather cord with a lobster claw clasp and 2" extension chain, or you can request one of our additional necklace options below. Length including loop: 1 3/8"